Antique Appraisals.ca has been providing estate-appraisal and estate-sale services in the greater Vancouver area for over 10 years under our company name BCAcquisitions.com . 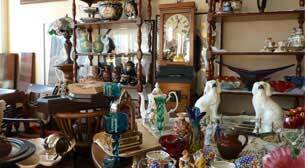 We have been buying and selling antiques of every description for over 35 years. Our professional network includes experts in every specialty. We have over 30 years expertise in the repair, restoration and refinishing of fine furniture and antiques, and over 18 years in the antique auction industry. We provide a superior level of professionalism and experience to every estate we manage. We have worked with hundreds of families who have need to evaluate and sell the contents of a home. We offer a range of services including: on-site management of estate liquidation, downsizing and moving sales as well as consignment of individual items to local stores and auction houses. As trusted professionals, we will act as advocates for your estate to assist your executor, administrator or attorney, in handling the details of a loved one’s estate and most importantly to maximize the value of the items we are asked to sell. We understand the many reasons for our services, both the decisions and responsibilities involved. It is a privilege to provide personalized services to suit your situation. Imagine selling a painting at a yard sale for $10, then learning the buyer later sold it at auction for $137,500. You’d want to kick yourself. A discovery that big isn’t common, but smaller surprises happen often enough. “You frequently get people bringing in to appraise something that they bought for $5 that’s worth $3,000 to $4,000,”. Whether you want to know an item’s value for a sale, insurance coverage, estate valuation, a charitable donation, or just to satisfy your curiosity, it’s often worth spending some time and money to find out. Here are resources to help you proceed. See our Link page with resources to help you with your Estate. Every client of ours has different appraisal needs, each personal property appraisal report created by us is created to conform to our client’s needs. There comes a time in many people’s lives when it makes sense to move out of their family home and into a smaller one. We willl work with you or your family to determine which items make the most sense to sell and which items are best kept in the family. This process does not always include the cost of an appraisal report. We can provide a verbal estimate on most things in the home and provide you a variety of customized options to consider while making these important decisions. Many basic home-owner’s insurance policies do not properly address the value of treasured items. If a claim must be made, an insurance company will require proof of value to be established prior to the claim. Even the most comprehensive policy does the individual no good if the replacement cost of the property has not been accurately determined. Can you be positive that the jewelry you own is properly insured? We are graduates of the Gemological Institute of America (G.I.A.) and are specifically trained to accurately assess the value of antique as well as contemporary jewelry. Equitable distribution should be the main goal of divorce settlements. A professional appraiser should be hired when it comes down to furniture, art, antiques, collectibles, and other household items, to ensure fair distribution. By having a neutral, unbiased, and professional opinion of value the distribution process could become relatively quick and painless. Your lawyer will receive a thorough report which identifies and values each item in question. This will cut down on litigation time, quicken the negotiation process, and ultimately cut down on your final costs. The cost for appraisal services depends on the amount of time we spend on your project, as well as the complexity of the valuation and end uses of the document. Estimates of cost usually are expressed as a range and do not include applicable tax and disbursements. Antique Appraisals.ca has a minimum charge of $100 for any appraisal or consulting assignment. Our rates are $100 for the first hour and $50 after that in most cases. Most household appraisals cost less than $400 dollars. Are you looking for that special Antique or collectible, or just like to go to estate sales? Join our exclusive email list with one of a kind opportunities to purchase great estate items. Antique Appraisals.ca came in to being through our other business BCAcquisitions.com as we saw its direction change from buying and selling antiques to appraisals of estates we saw a need and have changed our focus to meet the market place demands. Copyright © 2016 Antique Appraisals.ca All Rights Reserved.